Welcome to This Date in Aviation History, getting of you caught up on milestones, important historical events and people in aviation from August 8 through August 10. August 8, 1946 – The first flight of the Convair B-36 Peacemaker. As the world hurtled toward WWII, the concepts of strategic bombing were taking shape. The theories of WWI Italian general Guilio Douhet espoused that large scale bombing of factories and cities would cripple a county’s means of waging war and destroy the nation’s morale to keep fighting. These precepts were later championed by American general William “Billy” Mitchell, the man who is seen today as the father of the US Air Force. As war approached, the US began to develop its own heavy bombers, and would hone the practice of strategic bombing in the coming conflict. Bombers such as the Boeing B-17 Flying Fortress, Consolidated B-24 Liberator, and Boeing B-29 Superfortress became iconic of the US bombing campaigns, but the bomber that came to symbolize the post-WWII Cold War, the massive B-36 Peacemaker, was actually designed two months before the US entered the war. As the German Wehrmacht swept across Europe following the invasion of Poland in 1939, the situation looked increasingly grim for England. While the US had not yet entered the war, it was clear to American war planners that, should England fall to the Nazis, there would be no European base from which to launch bombing missions against Germany and occupied Europe. The only alternative would be to fly from bases in North America, and any bomber operating from the US or Canada would need an unrefueled range of nearly 6,000 miles. In light of that eventuality, the B-36 was actually designed in 1941, and Convair told the Army they would have two flying prototypes by 1943. But Convair was so busy building the B-24 Liberator and developing the B-32 Dominator, much more traditional bombers, that the B-36 was placed on the back burner and wasn’t pursued in earnest until the end of the war. But by that time, the mission had changed from an ultra-long range conventional bomber to an ultra-long range nuclear bomber. While a huge piston-powered bomber seemed somewhat of an anachronism at the dawn of the jet age, no other aircraft had the range necessary for such deep strikes, as early jet engines were notoriously thirsty and had a limited combat radius. The B-36 was the largest mass-produced piston-powered aircraft ever built, dwarfing the B-29 and, at 230 ft, its wingspan was greater than any combat aircraft ever produced. Initially, the somewhat ironically named Peacemaker was powered by six massive Pratt & Whitney R-4360 Wasp Major 28-cylinder radial engines in a pusher configuration, the same engines that powered the Boeing B-50 Superfortress and host of other large American warplanes. Later, four General Electric J47 turbojets were added to augment take off power and increase speed during bombing runs. The Peacemaker’s four bomb bays could carry up to 86,000 pounds of bombs, more than ten times the load carried by the Boeing B-17 Flying Fortress. It was also the only bomber capable of delivering the 43,600-pound T-12 Cloudmaker “earthquake bomb.” The B-36's nuclear capabilities were equally formidable, with the Mark-17 hydrogen bomb, the biggest and heaviest nuclear bomb ever produced, in its arsenal. For defense, the B-36 had six retractable, remote-controlled turrets each armed with a pair of 20 mm cannons. The Peacemaker entered service with the Strategic Air Command in 1948 and began its role as a nuclear deterrent, and the RB-36 reconnaissance variant was flown on spying missions around the periphery of the Soviet Union and its client states. Despite being a weapon of war, no B-36 ever dropped munitions on an enemy, nuclear or otherwise. The B-36 served as an important test bed, and was modified to carry a nuclear reactor to investigate nuclear powered flight. It was also modified into the enormous XC-99 strategic airlifter. Due to its vulnerability to Russian jet fighters and its lack of inflight refueling capability, the Peacemaker’s service life was a relatively short 10 years. The mammoth bomber gave way to modern jet bombers such as the Boeing B-47 Stratojet and B-52 Stratofortress and, of the 384 Peacemakers built, only four remain on display. August 9, 1945 – The United states drops the Fat Man atomic bomb on the Japanese city of Nagasaki. As WWII in the Pacific dragged on through 1945, the Allies were increasingly concerned that an invasion of the Japanese homeland would be the only way to bring an end to the war. But the expected fanatical resistance of the Japanese people meant that such an invasion would lead to an unprecedented loss of life, and the Allies hoped that dropping a nuclear bomb on Japan would bring about an end to the conflict and avoid a costly invasion. Following the horrific atomic bombing of Hiroshima on August 6, the Japanese government showed no sign that they were willing to do capitulate, even in the face of such devastating weaponry. In fact, Japanese military leaders started making preparations for martial law that would prevent any Japanese from trying to make peace with the Allies. Following a dire warning from President Truman that more attacks would be forthcoming if the Japanese refused to surrender unconditionally, the president made good on his word and decided to continue the nuclear bombing until Japan yielded. The next mission after Hiroshima was originally slated for August 11, but predictions of poor weather over the target areas pushed the date up to August 9. The designated target for the bombing was the city of Kokura, the secondary target to Hiroshima on August 6. Kokura was home to the biggest arms factory in Japan and, like Hiroshima, it had been spared from conventional and firebombing raids because the Allies wanted to measure the true effects of the atomic bomb. The mission was carried out by another specially modified Silverplate Boeing B-29 Superfortress named Bockscar after its regular commander, Capt. Frederick Bock. But Bock was not on the pilot rotation for the mission and the aircraft was instead commanded by Maj. Charles Sweeney, who had accompanied the Enola Gay on the Hiroshima mission flying another B-29 named The Great Artiste. Capt. Bock instead piloted The Great Artiste and carried scientific instruments to measure the blast. At 3:49 am on August 9, Sweeney and his crew departed Tinian, but when they arrived over Kokura they found that smoke from the firebombing of the nearby city of Yahata obscured their view. Sweeney was under orders to drop the bomb visually rather than by radar, so he elected to divert to Nagasaki, their backup target. During the war, Nagasaki was one of Japan’s largest seaports, housed critical industries for the production of ordnance and shipping, and was home to the Mitsubishi Shipyard. The city also had many more buildings of traditional wood construction, unlike Hiroshima, which had more concrete buildings. At the time of the bombing, there were an estimated 263,000 people in the city, of which only 9,000 were Japanese soldiers. The rest were civilians, along with 2,500 conscripted Korean workers and 400 Allied POWs. The bomb chosen for the mission was codenamed Fat Man (officially Mark III), an implosion-type nuclear bomb with a solid plutonium core. When it detonated over Nagasaki, the blast from Fat Man was greater than 21,000 tons of TNT, and anywhere from 40,000 to 70,000 inhabitants were killed in the initial explosion and resulting fires. Only 400 people in underground shelters survived. The city of Nagasaki is nestled between mountains, and had the topography not contained the explosion, the death toll could have been considerably higher. Due to a pump failure on board Bockscar, the crew did not have access to 600 gallons of fuel for the return flight, and they were unable to reach Tinian. Instead, they diverted to Okinawa and made an emergency landing on the busy airfield, firing flares to alert the controllers of their critical situation. With engines shutting down from fuel starvation, Bockscar came to a stop behind a Consolidated B-24 Liberator that was waiting to take off. After the second atomic bombing, and with the promise of yet more nuclear attacks, the Japanese government finally capitulated on August 15. The official surrender ceremony that ended the Second World War was held on board the battleship USS Missouri (BB-63) in Tokyo Bay on September 2, 1945. August 9, 1996 – The death of Sir Frank Whittle. Born in 1907, Whittle was an engineer who served with the Royal Air Force in WWII and is given credit for inventing the turbojet engine (Germany’s Hans von Ohain, who worked independently from Whittle, receives credit for the first operational jet engine). Following work on development of the motorjet concept, Whittle’s breakthrough came when he replaced the motorjet’s piston engine with a turbine and patented the concept in 1930. However, the British government saw little value in Whittle’s engine, so he formed Power Jets Ltd. to develop the engine on his own. By 1940, the Air Ministry finally placed a contract with Whittle to mount his engine in the Gloster E.28/39 test aircraft, which first flew on May 15, 1941, and then the Gloster Meteor, the Allies’ only operational jet fighter of WWII. Following the war, Whittle worked in the British aviation industry and taught at the US Naval Academy. August 9, 1980 – The death of Jaqueline “Jackie” Cochran. Cochran was born on May 11, 1906 in Muscogee, Florida and learned to fly after just three weeks of instruction. In the 1930s, Cochran was the only woman to compete for the Bendix Trophy, won five Harmon Trophies, and still holds more speed, distance and altitude records than any other pilot, male or female. During WWII, Cochran helped establish the Women Airforce Service Pilots (WASP), in which women pilots were trained to ferry military aircraft in the US to free up male pilots for war duty. After the war, Cochran continued setting records in jet aircraft and, in 1953, she became the first woman pilot to break the sound barrier while piloting a Canadair Sabre. She was also the first woman to land and take off from an aircraft carrier. Cochran died in 1980 at the age of 74. August 10, 1949 – The first flight of the Avro Canada C102 Jetliner, the world’s second jet-powered airliner. The C102 took its first flight just 13 days after the de Havilland Comet, and while it appeared that the Jetliner would prove to be a successful design, de Havilland Canada chose instead to focus their efforts on the production of their CF-100 Canuck interceptor. American billionaire Howard Hughes approached de Havilland and asked them to build 30 for him, but they refused, nor would they allow Hughes to produce the Jetliner in the US under license. A second, nearly completed prototype was scrapped, and the flying prototype was broken up in 1956. Despite a promising life cut short, the C102 did give the world one lasting legacy: the word jetliner. Coined by Avro Canada for the C102, jetliner has since become the generic word for any large, jet-powered commercial transport. 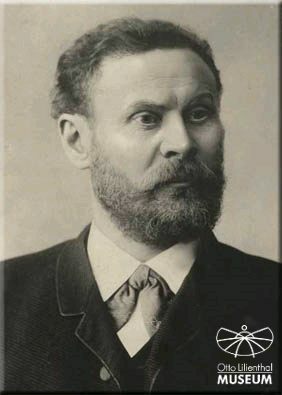 August 1o, 1896 – The death of Otto Lilienthal, an early and influential pioneer of manned flight who was known as the Glider King for his experiments with, and development of, unpowered glider flight. Born on May 23, 1848, Lillienthal worked closely with his brother Gustav and made over 2,000 flights beginning in 1891, some of which covered distances of over 800 feet. While all those flights only accounted for five hours of actual flying time, Lillienthal’s influence on the history of manned aviation far outstripped his hours in the air. The notoriety he garnered not only popularized the idea of future powered flight, but also influenced the early work of the Wright Brothers and other aviation pioneers. Lillenthal was killed in the crash of one of his gliders when he entered an unrecoverable stall at an altitude of about 50 feet and suffered a broken neck when his glider plummeted to the ground.